Modern businesses need to deal with a large amount of data every day. They collect and store data about their products, services, customer, marketing plan, company workflow etc. It is very important to use a reliable Document Management System (DMS) to keep on top of this demanding task. If you are thinking about choosing a DMS for your business, you have come to the right place. 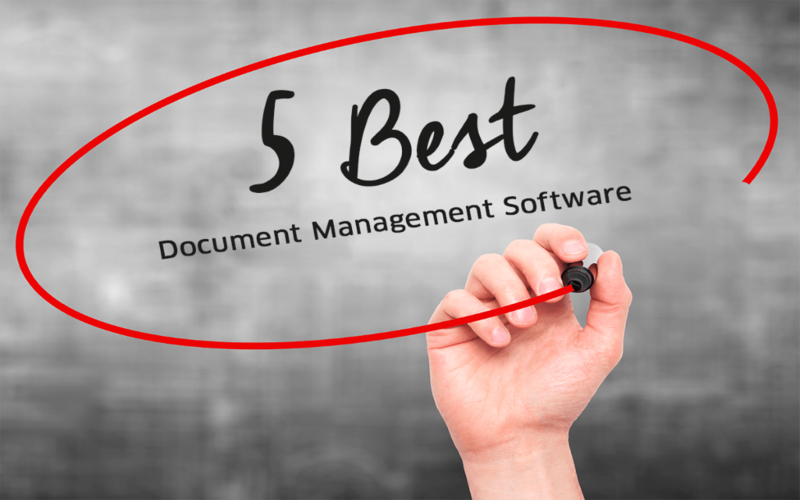 In today’s post, I will discuss the top 5 document management software for any business. 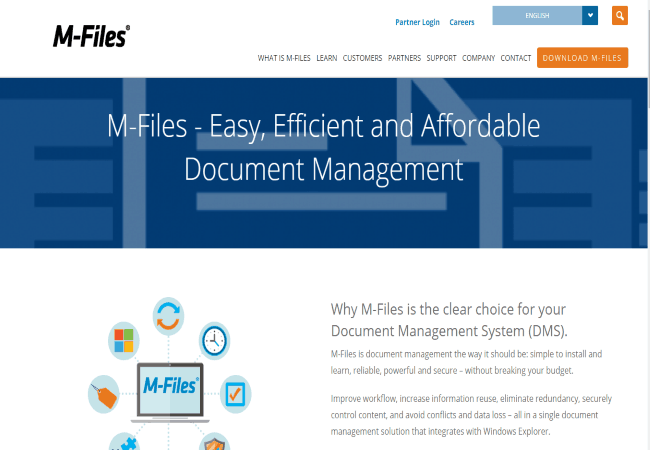 M-Files is a simple but powerful document management system with all the necessary options. As the DMS integrates perfectly with Windows Explorer, you can continue working from the familiar interface. It supports all the common file formats and Windows applications. The fast searching option allows you to look for the content and meta information of the files. Strong version management options will be useful in keeping track of the changes in your files. If you want to stay updated about all the actions in the system, you can enable email notifications for various events. The DMS could also be accessed from your Android or iOS device. eFileCabinet is one of the leading DMS out there. This remarkable document management solution could be used in different types of industries including accounting, manufacturing, finance, banking, insurance, education, religion and healthcare. 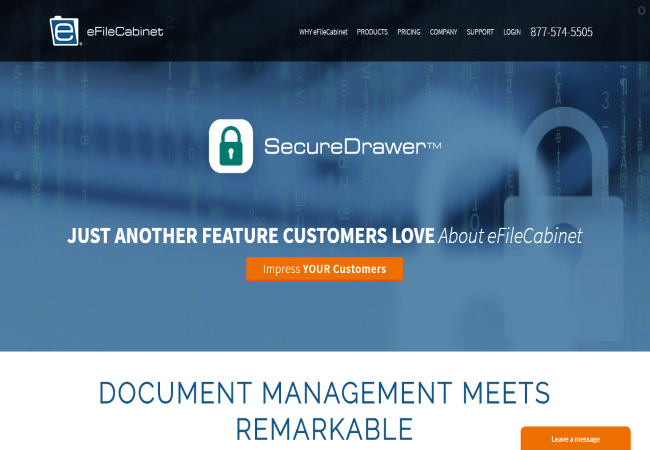 The proprietary SecureDrawer feature allows you to share confidential business documents with other stakeholders. Thanks to the 256-bit encryption, your files will not be accessible by other parties. The sidekick is another innovative option of eFileCabinet. This provides simpler navigation, better version control, complete browser integration and enhanced search features for your files. There is also a built-in OCR solution in the document management system. You can use the zonal OCR feature to have better control over the whole data organization system. Ademero is a widely used document management system for any size or type of business. 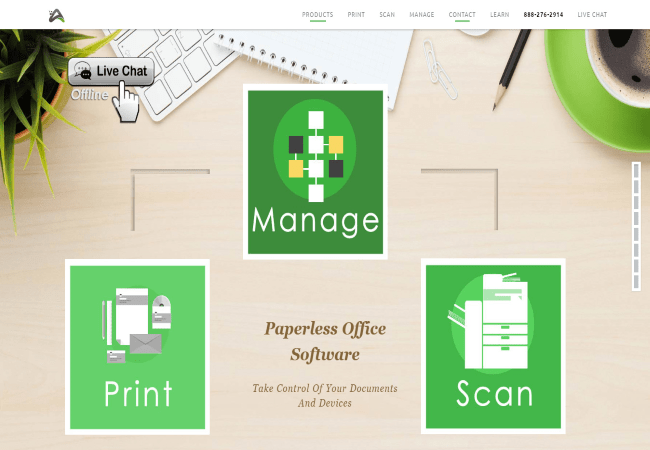 This convenient DMS solution provides simple options to scan, print and manage your documents. As the documents could be accessed via web browser, you can work from anywhere in the world. The user dashboard includes links to various actions. Since Ademero follows the same file structure as Windows, you will be at home in no time. It is possible to share the files with an existing workflow or other collaborators. In order to ensure security, you can restrict access to specific user roles. You can also create and use forms to capture and store data in your DMS. 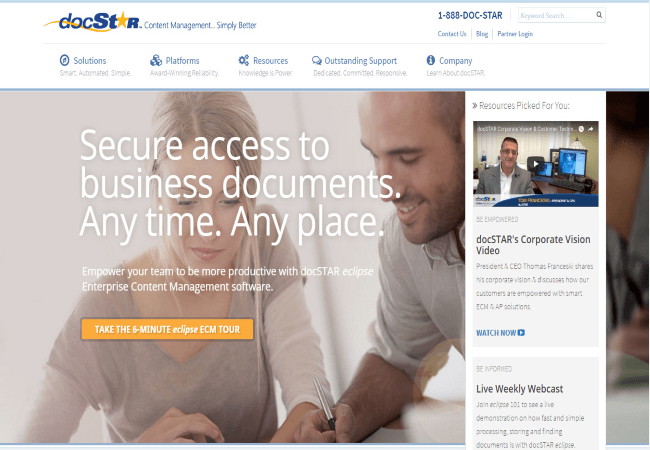 docSTAR is another very popular document management system. This simple DMS comes with powerful options to capture and input data from virtually anywhere. The automatic indexing feature will perform the OCR, barcode, formatting or other necessary functions. As a result, you can easily extract text and other data from your documents. It is possible to set up custom rules for content approval and receive instant notifications about the current status of your files. The workflow dashboard will display the progress report with the necessary details. As the system supports multiple editors for individual files, you can have multiple collaborators on the same file. The completely cloud-based system is accessible from smartphones and tablet devices. 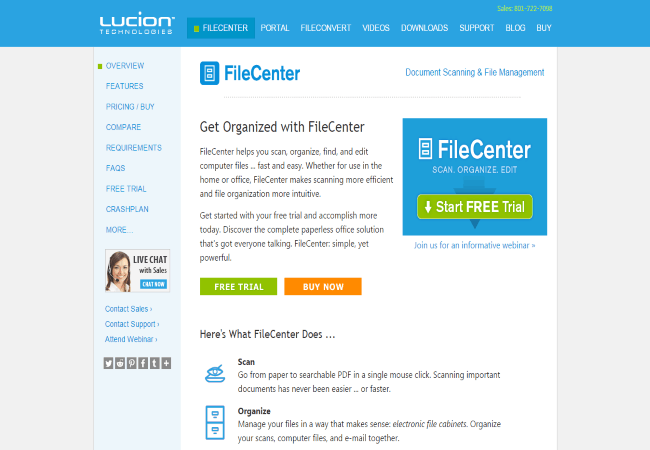 FileCenter is an effective way of scanning, organizing and managing your necessary business data. Regardless of your business type, you can use this solution to enjoy a batter organization and management of your files. Having a built-in OCR solution, FileCenter helps you extract the necessary information from your uploaded documents. It is also possible to preview a file or search for the necessary file. You can share the documents with the members of your office network. There are 40+ video tutorials to help you get started with the service. You can use the free trial to check out various features of FileCenter. Using a document management system is an excellent way to ensure a superior business process. With the help of these tools, you can manage all the business data in a better, faster and more efficient way. Now that you know which the best document management systems are, you should start using such a system for your business. Let me know which one you choose. Marie K.Powell is a business, technology, and environment specialist with years of experience in the field. Putting more emphasis on eco-friendly technologies, she is an avid supporter of going green in every possible way.